When it comes to planning the perfect wedding day, there are a number of absolutely essential aspects. Obviously, finding the right venue is crucial, as is ensuring that the guest list is curated perfectly. And setting the right tone for the day through music, floral arrangements, decor and dress is going to be at the top of any bride’s list. But transportation is also a key factor in ensuring a great experience for the bride, groom, wedding party and even the guests who may only get to see them arrive in style. At Low Country Valet, our goal is to go far beyond typical wedding transportation to provide an experience unlike any other. We take pride in our vehicles and our service, and we love being a part of special couples’ big days. 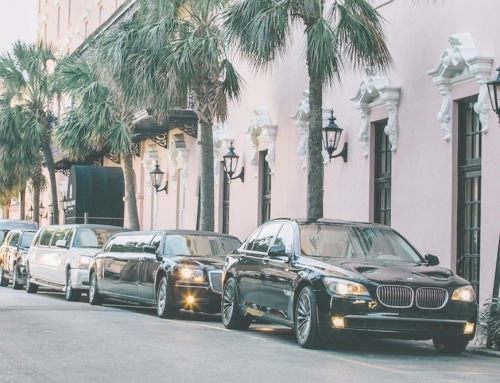 Taking a ride in a modern, well-appointed limousine is one of the highlights of the wedding day, and Low Country Valet has you covered with intimate two-passenger limos, as well as vehicles that can accommodate even more members of the wedding party in a classy manner. Maybe you aren’t one to take the modern route and would prefer to bring some vintage charm and style to your wedding day. Low Country Valet understands the appeal of an awesome vintage vehicle, which is why we maintain an amazing fleet of models from the ’30s through the ’60s! At Low Country Valet, we truly love what we do. It means a lot to us when brides and grooms select our vehicles to be a part of their special days, so when we’re called upon to provide transportation, we make sure we provide complete satisfaction. We go the extra mile, often quite literally! On-time pickup, classy drivers and an amazing commitment to customer service set us apart. And we’re always ready to help brides and grooms select the ideal vehicle or vehicles from our massive fleet. Do you need to take care of your wedding transportation needs? Do you want to make sure you do it the right way with a company that understands your unique wants and needs? Call the Charleston wedding transportation leader — Low Country Valet — today at (843) 810-0107 to learn more.